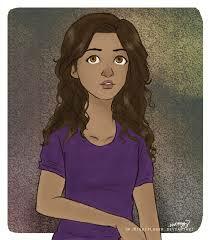 Hazel Levesque.. Hazel Levesque, beautiful as always!!!. Wallpaper and background images in the Helden des Olymp club tagged: the heroes of olympus the lost hero percy jackson piper heroes jason annabeth new character. This Helden des Olymp fan art might contain porträt, kopfbild, nahaufnahme, portrait, headshot, and kopfschuss.